We’re the avid readers of so many blogs here at Escentual HQ. It doesn’t matter who it is that is bringing the beauty and the banter – as long as you give us a good old rundown of what’s out there (and maybe even make us giggle! ), then we’re definitely on board. There are some special blogs that keep us coming back week in, week out, and we thought we’d show them a bit of love. 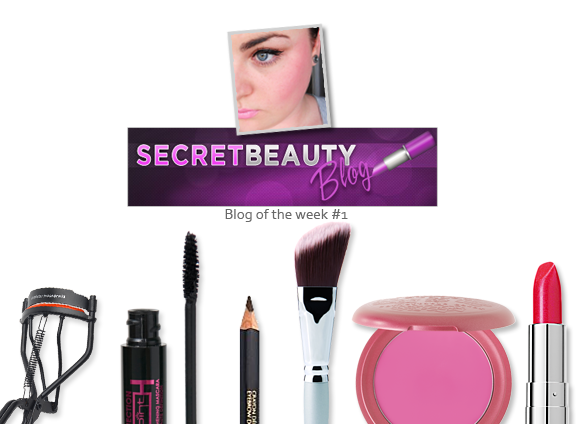 So, we hereby introduce our brand new Blog of the Week feature, a little weekly nod to those blogging VIPs…. Three words. XBox. Makeup. Case. Yes, you read that right. In what can only be described as an eerie insight into our ultimate wish-list, Karleigh has created a place to stash all of her make-up in the outer casing of an old XBox 360, with compartments and a gorgeous velvety lining. It’s not just her creativity that keeps us coming back to Karleigh’s blog – although that XBox is a strong contender for our favourite blog post of all time. It’s her enthusiasm, warmth and honesty that makes her a winner in our book. This entry was posted on Friday, January 7th, 2011 at 9:10 am and is filed under Blog of the Week. You can follow any responses to this entry through the RSS 2.0 feed. You can skip to the end and leave a response. Pinging is currently not allowed.